LOS ANGELES – Today, FOX Sports announces WBA Welterweight World Champion Keith Thurman to join International Boxing Hall of Famer Ray “Boom Boom” Mancini and host Kate Abdo live in FOX Sports’ Los Angeles studios for coverage of FOX PBC FIGHT NIGHT: PORTER VS. UGAS on Thursday, March 7 – Saturday, March 9. Calling the action live from Los Angeles on Saturday, March 9 (8:00 PM ET) on FOX and streaming on the FOX Sports app are former three-time heavyweight champion Lennox Lewis, legendary trainer Joe Goossen and blow-by-blow announcer Chris Myers. Veteran combat sports journalist Heidi Androl reports and interviews fighters, while International Boxing Hall of Famer Jimmy Lennon Jr. serves as ring announcer and Marcos Villegas is the unofficial scorer. On FOX Deportes, blow-by-blow announcer Adrian Garcia Marquez is joined by Jaime Motta to call the fights in Spanish. FOX Sports PBC programming begins Thursday, March 7 (4:00 PM ET) on FS2 and the FOX Sports app with the one-hour FOX PBC PRESS CONFERENCE, as host Abdo is joined by Mancini and Thurman to preview the fights on the card and interview fighters. Androl presides over the press conference. On Friday, March 8, the FOX PBC WEIGH-IN SHOW is telecast on FS2 and streaming on the FOX Sports app at 4:30 PM ET, with host Abdo and analysts Thurman and Mancini again on the desk, previewing the fights. Lennon Jr. hosts the weigh-ins on stage, while Androl interviews fighters onsite. Saturday’s fight action begins at 6:30 PM ET on FS1 with the FOX PBC FIGHT NIGHT PRELIMS featuring undefeated bantamweight prospect Damien Vazquez (14-0, 7 KOs) against former world champion Juan Carlos Payano (20-2, 9 KOs) in an eight-round attraction, while unbeaten welterweight prospect and 2016 Lithuanian Olympian Eimantas Stanionis (7-0, 5 KOs) faces once-beaten Sammy Figueroa (11-1, 4 KOs) in an eight-round bout. FOX PBC FIGHT NIGHT continues at 8:00 PM ET on FOX and the FOX Sports app and features WBC Welterweight World Champion Shawn Porter making his first title defense in primetime against mandatory challenger Yordenis Ugas (23-3,11 KOs). The main card also features heavy-handed slugger Efe Ajagba (8-0, 7 KOs) versus experienced veteran Amir Mansour (23-3-1, 16 KOs) in an eight-round heavyweight bout, plus a duel between two hard-hitting brawlers as Abel Ramos (23-3-2, 12 KOs) and Francisco Santana (25-6-1, 12 KOs) meet in a 10-round welterweight match in the televised opener. The evening’s action wraps up on FS1 at 10:00 PM ET with the FOX PBC FIGHT NIGHT POSTFIGHT SHOW as Abdo, Thurman and Mancini recap the fights and interview winners. PBC on FOX programming continues Sunday, March 10 with PBC FIGHT CAMP: ERROL SPENCE JR. VS. MIKEY GARCIA (Part 3) on FOX at 1:30 PM ET. The four-part documentary series features an all-access look into the training camps of IBF Welterweight Champion Errol Spence (24-0, 21 KOs) and four-division world champion Mikey Garcia (39-0, 30 KOs) as they prepare for their March 16 FOX Sports PBC Pay-Per-View showdown. The show is immediately followed at 2:00 PM ET by INSIDE PBC BOXING, a one-hour studio show featuring interviews with Spence Jr. and Garcia, and previewing the exciting Pay-Per-View. Leading up to the fights, PBC fighters offer unique, behind-the-scenes clips on the FOX PBC social pages. Follow @PBConFOX on Twitter, Facebook and Instagram for all updates throughout the #PBConFOX fights Saturday. Viewers can live stream the PBC shows on the FOX Sports app, through the FOX, FS1, FS2 and FOX Deportes streams. The shows are available on desktop at FOXSports.com and through the app store or on connected devices including Apple TV, Android TV, Fire TV, Xbox One and Roku. In addition, all programs are available on FOX Sports on SiriusXM channel 83 on satellite radios and on the SiriusXM app. FOX Sports is the umbrella entity representing 21st Century Fox’s wide array of multi-platform US-based sports assets. Built with brands capable of reaching more than 100 million viewers in a single weekend, FOX Sports includes ownership and interests in linear television networks, digital and mobile programming, broadband platforms, multiple web sites, joint-venture businesses and several licensing relationships. 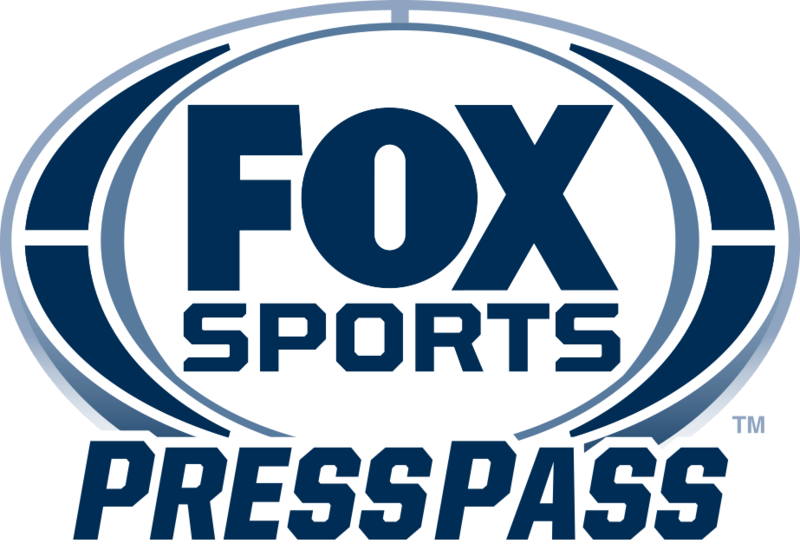 FOX Sports includes the sports television arm of the FOX Broadcasting Company; FS1, FS2; FOX Sports Regional Networks, their affiliated regional web sites and national programming; FOX Soccer Plus; FOX Deportes and FOX College Sports. FOX Sports also encompasses FOX Sports Digital, which includes FOXSports.com, FOX Sports App and FOX Sports GO. Also included in the Group are FOX’s interests in joint-venture businesses Big Ten Network and BTN 2Go, as well as a licensing agreement that establish the FOX Sports Radio Network.